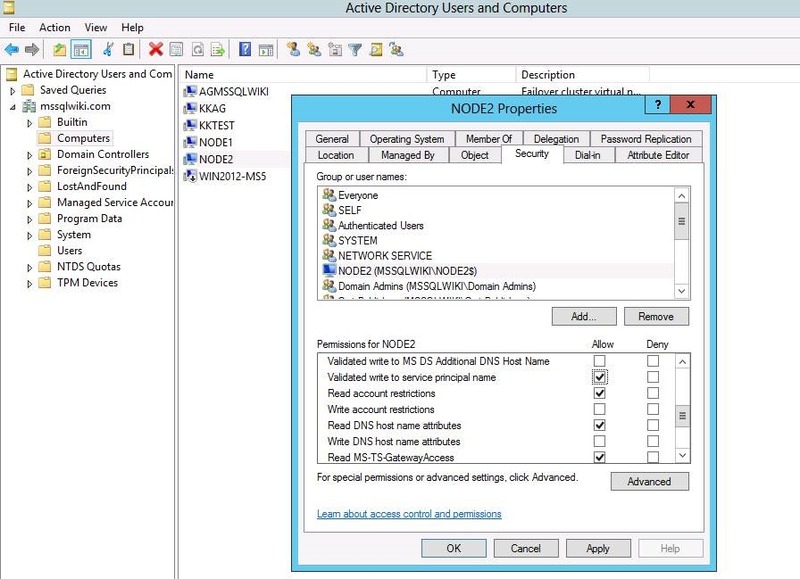 Most of you would already be aware of Kerberos authentication in SQL Server (http://technet.microsoft.com/en-us/library/cc280744%28v=sql.105%29.aspx) It is mandate for delegation and highly secured method for client server authentication. Connection failures caused by Kerberos authentication issues drives majority of questions in MSDN and other SQL Server forums. Some of the common errors you would get when Kerberos authentication fails include. So it is pretty much clear that if you get last two errors then it means secure session could not be established with you domain controller. So you can use nltest /SC_QUERY:YourDomainName to check the domain connection status. Before we jump into troubleshooting Connection failures caused by Kerberos authentication let see how to force SQL Server to use Named pipes protocol when you get above errors and workaround the problem till you fix the Kerberos authentication with TCP/IP. To force SQL Server to use NP protocol you can use any one of the below methods. Note: You have to do the change both in 32-Bit and 64-Bit SQL Server native client configuration in your client systems. When you get Kerberos authentications errors or if you notice SQL Server is failing back to NTLM authentication you can follow below steps to troubleshoot Kerberos failures. 1. How to check If SQL Server is suing Kerberos authentication? For the Kerberos authentication to work in SQL Server, SPN (Service principal name) has to be registered for SQL Server service. SPN is automatically registered by SQL Server using the startup account of SQL Server when SQL Server starts and deregistered when SQL Server is stopped. Kerberos authentication would fail when the SPN is not registered (or) when there is duplicate SPN’s registered in Active directory (or) client system is not able to get the Kerberos ticket (or) DNS is not configured properly. 2. How to Check if SPN’s are successfully registered in the active directory? When SPN’s is registered in active directory during the startup of SQL Server by startup account of SQL Server, a message similar to one below is logged in SQL Server error log. 2013-12-05 22:21:47.030 Server The SQL Server Network Interface library successfully registered the Service Principal Name (SPN) [ MSSQLSvc/node2.mssqlwiki.com ] for the SQL Server service. 2013-12-05 22:21:47.030 Server The SQL Server Network Interface library successfully registered the Service Principal Name (SPN) [ MSSQLSvc/node2.mssqlwiki.com:1433 ] for the SQL Server service. When SQL Server could not register SPN’s during the startup below error message is logged in SQL Server error log? Server The SQL Server Network Interface library could not register the Service Principal Name (SPN) [ MSSQLSvc/node2.mssqlwiki.com ] for the SQL Server service. Windows return code: 0xffffffff, state: 53. Failure to register a SPN might cause integrated authentication to use NTLM instead of Kerberos. This is an informational message. Further action is only required if Kerberos authentication is required by authentication policies and if the SPN has not been manually registered. Server The SQL Server Network Interface library could not register the Service Principal Name (SPN) [ MSSQLSvc/node2.mssqlwiki.com:1433 ] for the SQL Server service. Windows return code: 0xffffffff, state: 53. Failure to register a SPN might cause integrated authentication to use NTLM instead of Kerberos. This is an informational message. Further action is only required if Kerberos authentication is required by authentication policies and if the SPN has not been manually registered. 3. I see SQL Server could not register SPN error message in SQL Server errorlog. How do I make SQL Server register SPN’s automatically? 4. From SQL Server error log I see SPN’s are registered successfully but still Kerberos authentication is failing. What is next? Check if there are duplicate SPN’s registered in Ad using the LDIFDE tool. Below query will fetch all the SQL Server SPN’s from active directory and print in c:\temp\spnlist.txt. Ldifde -f c:\temp\spnlist.txt -s YourDomainName -t 3268 -d "" -r "(serviceprincipalname= MSSQLSvc/*)"
Search for duplicate SPN in the output file (spnlist.txt). In our case SPN name is MSSQLSvc/node2.mssqlwiki.com:1433 .So if there are more than one entry in the output file for MSSQLSvc/node2.mssqlwiki.com:1433 then there is a duplicate SPN’s which has to be deleted. 5. How do I identify which SPN is duplicate? In the output of the LDIFDE you will find the SAM accountName which registered the SPN, just above the ServicePrincipalName (Refer the sample below). If the SAM account is not the startup account of SQL Server then it as duplicate SPN. 6. There is a duplicate SPN in active directory how do I delete? Syntax: Setspn -D "MSSQLSvc/FQDN:port" "SAMAccount name which has duplicate SPN "
Setspn -D " MSSQLSvc/node2.mssqlwiki.com:1433" "DOMAIN\Accountname"
7. SPN’s are registered properly, there is no duplicate SPN but still the Kerberos authentication is not working ? A ticket to MSSQLSvc/node2.mssqlwiki.com:1433 has been retrieved successfully. If the client is unable to get the ticket then you should see an error similar to one below. does not have a computer account for this workstation trust relationship. If all the tickets are failing then most probably the issue should be with DNS/Network setting, you can troubleshoot further based on the error you receive from klist or collect Netmon traces to troubleshoot further. 8. If the client is able to get the ticket and still Kerberos authentication fails? 9. How to Collect Netmon traces and identify Kerberos authentication failure? When you configure SQL Server always on available group from management studio it may fail with below error while joining secondary replica to the availability group. You may get below error when you configure AG availability group using alter database command mentioned below or synchronization might fail with 35250 error mentioned below. The connection to the primary replica is not active. The command cannot be processed. 1. Ensure always on endpoint ([Hadr_endpoint]) are not blocked by firewall (Default port 5022). 3. If log on account of SQL Server is “Nt service\” or local system account then ensure system account (Domainname\systemname$) of each replica is added to other replicas. 4. Grant connect on always on endpoints created on each replicas for startup account of other replica servers (Grant connect on endpoints even if startup account of other replicas are added as sysadmins). 5. Make sure SQL Server name (select @@servername) matches with hostname. 6. Make sure cluster service startup account is part of SQL Server logins (More details in This link). Every SQL Server DBA would have faced situations similar to SQL Server not accepting connections for few minutes, SQL Server not responding for few minute or Applications not able to connect with SQL Server for few minutes. Before DBA’s gets alerted about the situation and starts troubleshooting the issue everything becomes normal. Challenge in this situations is it becomes very difficult to understand where the underlying problem was, It could be a network connectivity, Application server problem or It might be an issue with SQL Server itself. How do we collect diagnostic data to prove that SQL Server was stable at the time of issue (or) If the issue is with SQL Server then how to collect data we need for diagnosing the issue? 1. Check the status of all the SQL Server service through the windows service control manager every 60 seconds. 2. If the service is running then check if SQL Server is accepting connections every 60 seconds. 3. If SQL Server is accepting Connections then probe to perform a simple query and see if SQL Server is responding properly. 4. If any of the SQL Server is not accepting Connections then connect to SQL Server using DAC, take a filtered stack dump which will be stored in errorlog directory of the instance , executes custom diagnostic script (c:\sqlmonitor\failoveranalysis.sql) and stores the output in c:\SQLmonitor\ with name “Servername+instancename.txt” which can be used to identify if there is any issue in SQL Server. 5. Once dump is taken release the DAC connection and wait for some time before we attempt to connect again. If connection is successful during subsequent attempt SQLMonitor.exe will continue monitoring the instance but if the connection fails again a new dump is generated and new diagnostic data is collected and appended to Servername+instancename.txt file in SQLMonitor folder. 2. Create a Text file called serverlist.txt and enter all the SQL Servers in your environment to be monitored in below format. 3. Invoke command prompt and open SQLmonitor.EXE. 1. Multi-threaded each server and service is verified using its own thread so retrieving information from one server will not affect the pooling interval to other server. 2. Single exe can be scaled to monitor more than 1000 servers and 1000 services. 3. Uses few MB of memory and system resources. 1. This exe can be invoked from any of the client systems with SQL Server client tools and SQL native clients installed. 2. Remote DAC connection has to be enabled in SQL Servers which are monitored. 3. EXE should be invoked under credential of user who has access to all the SQL Servers which are monitored and permission to view service control manager of windows servers in which SQL Server is running. [sqsrvres] checkODBCConnectError: sqlstate = 08001; native error = 35; message = [Microsoft][SQL Server Native Client 11.0]A network-related or instance-specific error has occurred while establishing a connection to SQL Server. Server is not found or not accessible. Check if instance name is correct and if SQL Server is configured to allow remote connections. For more information see SQL Server Books Online. Look at the version of (c:\windows\system32\sqsrvres.dll) and install the same version of SQL Server native client. When Higher version of SQL-Server is installed on a cluster in which lower version of SQL Server is already installed, the lower version SQL Server Resource DLL (c:\windows\system32\sqsrvres.dll) is upgraded to higher version and Higher resource DLL will be loaded by the resource monitor process to monitor Lower version as well. For example: The Denali SQL Server Resource uses SNAC 11.0 to connect to the SQL instance and because SNAC 11.0 can be used to connect to Shiloh, Yukon and Katmai as well this side by side configuration will work. However if Denali is uninstalled, the Denali SQL Server resource DLL is not downgraded to Katmai, Yukon or Shiloh version and hence care should be taken to not uninstall SNAC 11.0 otherwise Yukon or Shiloh instance cannot be brought online. Similarly When we install Yukon and Shiloh together, Yukon SQL Server Resource uses SNAC to connect to the SQL instance and because SNAC can be used to connect to Shiloh as well this side by side configuration will work. However if Yukon is uninstalled, the Yukon SQL Server resource DLL is not downgraded to Shiloh version and hence care should be taken to not uninstall SNAC otherwise Shiloh instance cannot be brought online. An error occurred while decrypting the password for linked login ‘distributor_admin’ that was encrypted by the old master key. The error was ignored because the FORCE option was specified. spid10s Error: 15581, Severity: 16, State: 3. SQL Server service account was changed from services control manager (or) service master key was not backed up and restored when migrating SQL Server to another computer domain. To change the SQL Server service account, use SQL Server Configuration Manager. To manage a change of the service account, SQL Server stores a redundant copy of the service master key protected by the machine account that has the necessary permissions granted to the SQL Server service group. If the computer is rebuilt, the same domain user that was previously used by the service account can recover the service master key. This does not work with local accounts or the Local System, Local Service, or Network Service accounts. When you are moving SQL Server to another computer, migrate the service master key by using backup and restore. The FORCE option causes the key regeneration process to continue even if the process cannot retrieve the current master key, or cannot decrypt all the private keys that are encrypted with it. Use FORCE only if regeneration fails and you cannot restore the service master key by using the RESTORE SERVICE MASTER KEY statement. If you receive the following error message when running ALTER SERVICE MASTER KEY REGENERATE. The current master key cannot be decrypted. If this is a database master key, you should attempt to open it in the session before performing this operation. The FORCE option can be used to ignore this error and continue the operation but the data encrypted by the old master key will be lost. We are left with only option to force regenerating service master key using “ALTER SERVICE MASTER KEY FORCE REGENERATE “. Note:The service master key is the root of the SQL Server encryption hierarchy. The service master key directly or indirectly protects all other keys and secrets in the tree. If a dependent key cannot be decrypted during a forced regeneration, the data the key secures will be lost. We do not see the SQL server and SQL Agent status from management studio. When we right click the instance, start, stop and resume options is disabled. From management studio we do not see the SQL server and SQL Agent status. When we right click the instance, start, stop and resume options is disabled. 2. WMI Permission could be a cause. Enable below permission in WMI. –Under launch and activation permissions : Add both Startup account of SQLServer service and Logged on windows account. –On the Start menu on, click Run. –Type wmimgmt.msc, and then click OK.
–In the Windows Management Infrastructure program, right-click WMI Control (Local), and then click Properties. –In the WMI Control (Local) Properties dialog box, select Security tab, expand Root, and then click CIMV2. –Click Security to open the Security for ROOT\CIMV2 dialog box. Add startup account of SQLServer service and Windows Logon account and select Remote Enable permission. 3. Use the following command to give rights to query service . NOTE: MSSQL$SQLINST > Replace With your SQLServer service name. 4. We can use below command to reset the Security policy to default. –>If you still have the same error even after running this. Select * from Win32_service where name="SQLServiceName"
All the above three has to match. Check the environment variable’s and see if we have below variables defined. Below keys should be present only for clustered SQLServer and Key "_CLUSTER_NETWORK_NAME_" should have SQLVirtual server name in case of cluster and this Environment variable should not be present for Standalone instance. 2. Select ‘Server Authentication Certificate’ for Type of Certificate Needed. F. We need to make a note of the ‘Request Id’ from the below screen. A. In MMC add ‘Certificates’&’Certificate Authority’ using ‘Add/Remove Snap-in’ options. B. Click on ‘Pending requests’ in ‘Certificate Authority’. B. Click on the certificate. E. We will see the successfully installed screen. 8. Assign the certificate to the SQL Server instance. C. In the certificate tab and select the certificate we created earlier. D. Click on Apply and restart the SQL Server instance to get this change applied. 9.After the successful deployment of the certificate (Server side) we should see the below message in our SQL Error Log file during the server startup. The certificate was successfully loaded for encryption. Unable to connect to SQLServer listening on Non-Default Port? If you connect to SQLServer using the “hostname” it connects to the instance which is listening on 1433. If you make named instance listen on 1433 and connect using “hostname” it connects to named instance which is listening on 1433.
if you connect to SQLServer using hostname or ip-address (without “\instance name”) it connects to instance which is listening on 1433, it can be named instance as well. (We have a belief that it connects to default instance because default port of default instance is 1433). When you are connecting to SQLServer using hostname (without “\instance name”) client will not communicate with SQL Browser. SQLClient would communicate with SQLBrowser only if there is “\instancename” followed by host name. Dynamic port detection is only available for named instances of SQL Server 2000.
global default port established with the Client Configuration Utility. instance of SQL Server by using its server name, its FQDN, or its IP address followed by a comma and the port number. If you connect to a Named Instance, then you need to either specify the Server\Instance or Server,Port. If you change the default port number for the default instance, then you need to specify Port number as well. 2008-03-19 23:06:39 – ! ConnConnectAndSetCryptoForXpstar failed (0). 2008-03-18 12:18:32 – ! ConnConnectAndSetCryptoForXpstar failed (0). Modify the the following Key. Note: Before applying the Hotfix. you have to follow the steps mentioned in Resolution else hotfix would fail. Revert the steps after applying the fix.